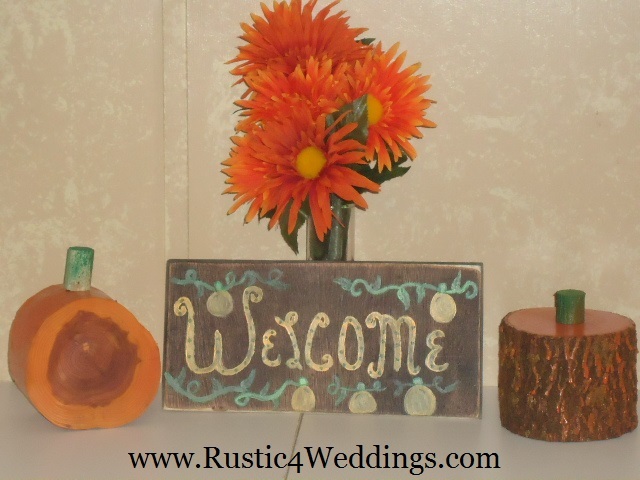 These wooden pumpkins and distressed Welcome sign is for sale in our "Church House Woodworks Etsy Shop"! 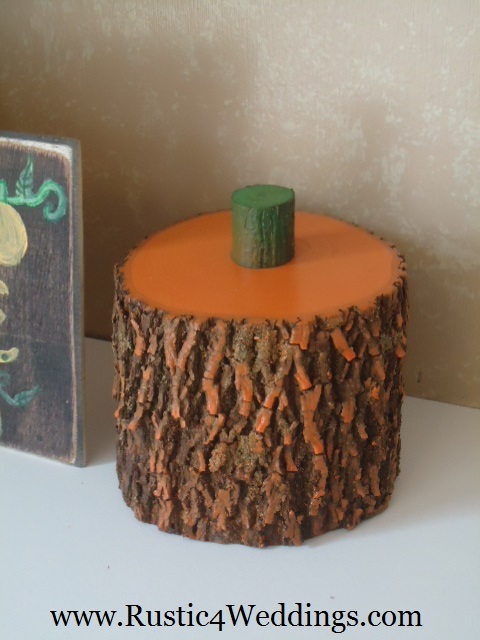 Get yours for fall and decorate your living room or kitchen table with this. 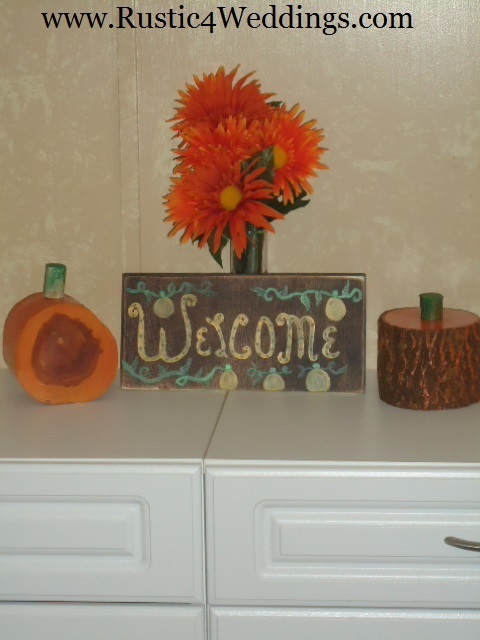 The cedar pumpkin is on the left in the picture above and the hickory pumpkin is on the right side in the picture. 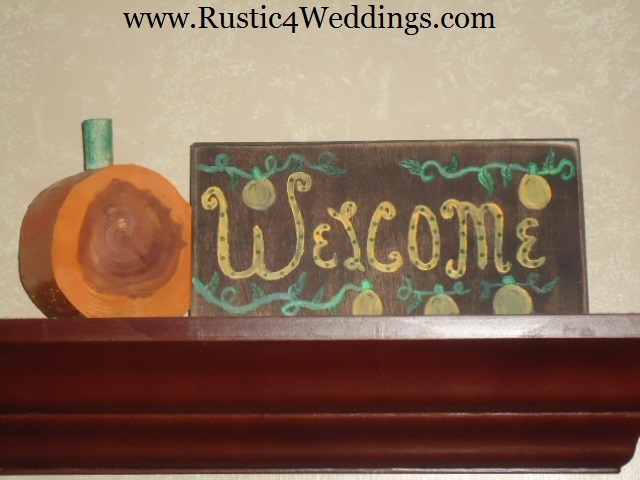 The "Welcome Sign With Pumpkins" is handpainted. 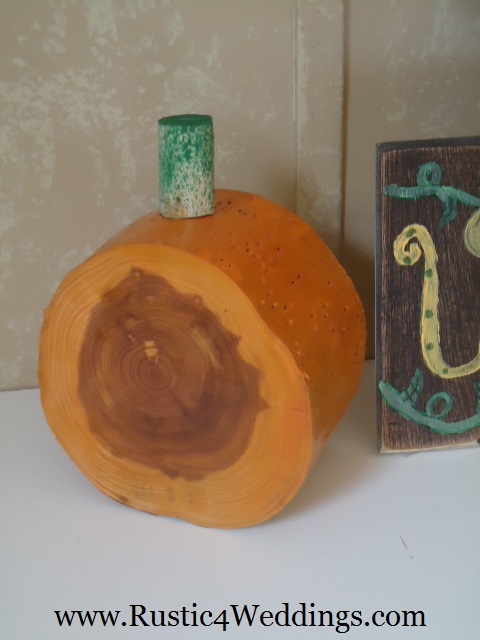 This is a hickory pumpkin we made! 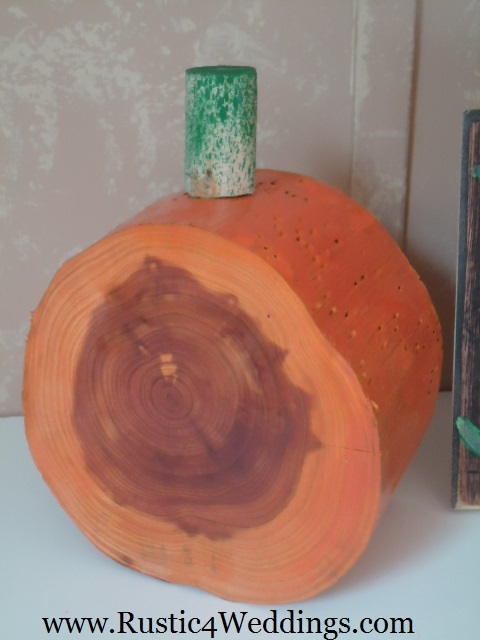 This is a cedar pumpkin.